A family run business with over 30 years experience in one off projects, we pride ourselves in building a relationship with our customers which enables us to not only meet their expectations but to on many occasions exceed them. We are very proud to say many of our customers have been with us from the very beginning and trust us to be able to give them the quality they've come to expect time and time again. We build quality new homes and barn conversions, complete renovations, small commercial works - offices/shops within a 25 mile radius of Ashby-De-La-Zouch in Leicestershire. Lychgate Homes Ltd will now develop it's own individually designed new & refurbished properties locally which are then sold through local estate agents (or you can contact Lychgate Homes Ltd direct) to the public. Lychgate Bespoke Build Ltd is our new company that will now cater for anyone requiring a builder to create the property of their dreams on their own parcel of land. This may be a new build or a complete refurbishment or even large extensions , but would be a contract build on behalf of the client. Clients are encouraged to participate in the process including their specifications and requirements although Glenn or Dan would be available with their wealth of knowledge and expertise to guide them through to fruition. We can also arrange architects and planning permissions should this be required to create that perfect home for you. Both our companies will use the same craftsmen and contractors to create and maintain the level of quality Lychgate Homes Ltd have become synominus for in the building industry. Creating Places designs and builds quality bespoke modular timber framed buildings. We work closely with our clients to fully understand their requirements and develop designs that will provide the perfect solution. Our team of Project Managers, Architects, Structural Engineers and Cost Managers will ensure that the buildings will meet all the required standards in relation to planning and building regulations. 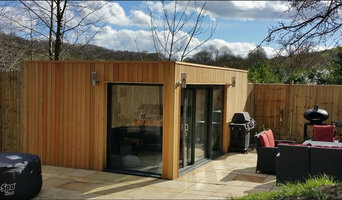 We are able to create excellent spaces in your garden suitable for a multitude of uses: - Garden Office - Family Annexe - Holiday Let - Artist's Studio - Home Gym - Home Cinema - Games Room We also design and manufacture bespoke camping pods, shepherd huts and holiday lodges. The People's Painter is a well established Painting and Decorating business that has been trading since June 1984. The People's Painter has built up an enviable reputation over the last 30 years. Pride is taken in a commitment to provide a professional and speedy service at all times, whilst maintaining the highest quality of work. One job is undertaken at a time, to ensure complete focus on your job from start to finish. Please call today for more information and ask for Peter Willetts, who is on hand throughout the entire process, from the first discussion to completion. Alan Gibbons Building & Joinery is a small local company, we pride ourselves on providing an honest, friendly and reliable service. We can carry out all kinds of design and build projects from new builds to extensions, renovations and refurbishments and are also experienced in handling commercial building projects. New builds, extensions and garages, conservatories, loft conversions, structural steelwork, driveways, patios and garden walls. We also design and fit kitchens, bathrooms and bedrooms. Our joinery services include the fitting of both internal and external doors, hardwood and laminate floor fitting. We also repair or replace staircases. Why choose Alan Gibbons Building & Joinery Because we strive to exceed all our customer's expectations, and we enjoy helping our customers make the right choices and informed decisions. We also pride ourselves on our customer focus and we will always maintain communication with you at every stage of your project. We have been serving the local community since 2000. Set in 1986 we have 'built' on our reputation. We specialise in loft conversions, new builds, extensions, remodelling, renovation, contemporary builds, commercial projects and shopfitting. David Warren Homes is a family owned and run British business with many years of experience in the building market. Our goal is to provide top quality service for the customers. We understand what the customer’s need is. Give stylish and modern look for your dream home. -Full service of design, supply and fit. -Our own registered construction company to complete out all required building work. -Bespoke service to your needs. -Modern/Contemporary/Traditional designs. -Work direct with you, or your architect if you have one. Professional and friendly service with over 20 years experience. Our jobs are done with the best price and quality. New builds, Extensions, Renovations, Loft Conversions, Removing internal walls with RSJs, and much more. Please do not hesitate to contact us for a free estimate. Stephen Harvey Ltd are a leading Derbyshire home improvement & building company with over 30 years experience in all types of building work with all types of properties over the Derbyshire & Nottinghamshire counties. 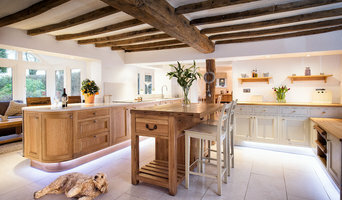 Whether your are looking for a small knock through, Grade 2 listed renovation or a complete newbuild from start to finish, Stephen Harvey Ltd Derbyshire, have the crafstmen and the experience in all aspects of home improvements & building work. Stephen Harvey Ltd Derbyhsire, specialise in Loft and Garage Conversions, Fitted Kitchens, Bathroom Remodelling & Fitting, Renovations, Extensions and the installation of Windows Doors and Conservatories. Their attention to detail, dedication to customers and their competitive rates all contribute to extremely high levels of satisfaction from their customers. Stephen Harvey Ltd, a family run, leading Derbyshire home improvement & building company also offers a complete maintenance service to industrial and domestic properties in Derbyshire & Nottinghamshire. Stephen Harvey Ltd are a leading Derbyshire home improvement & building company with over 30 years experience. All members of Stephen Harvey Ltd's staff are fully trained and are time served tradesmen offering home improvement, building and maintenance services in Derbyshire & Nottinghamshire. With an in-house Architect Stephen Harvey Ltd Derbyshire, are able to create professional, high quality plans drawn up to your specifications. Stephen Harvey Ltd Derbyshire, are extremely proud of their very clean, sensitive and friendly workforce, their use of Eco friendly materials and the recycling of waste disposal. All this put together ensures a professional quality service to you from start to finish. Welcome to Woodward’s Building & Plumbing Services, specialists in a wide range of building and plumbing services throughout Nottingham and the surrounding areas. With a wealth of knowledge in the plumbing and building trade, we undertake everything from property extensions, new garages, paths, driveways and patio installations, as well as bathroom and kitchen alterations to name a few. At CC Building Contractors Ltd, we have always placed quality and customer satisfaction at the front of our trading practices. Whether completing a loft conversion or undertaking a significant commercial development, our builders in Nottingham take great pride in their work and complete all projects to the absolute strictest of standards. By investing in skills development and continuous training for our tradesmen, we safeguard our position as an industry leader within the Nottinghamshire area. We take great satisfaction in the number of domestic and commercial contracts acquired through positive word-of-mouth client referral. Listening closely to the individual requirements and design preferences of each customer, we do our utmost to ensure a smooth development process from start to finish. Why not build you own house with the help of Nottingham, Nottinghamshire builders? Builders in Nottingham, Nottinghamshire can be employed to handle a wide range of projects; from knocking down a partition wall to building a kitchen extension, but you’ll certainly need the help of a trusted house builder if you plan to build your own home from the ground up. But why would you take on such a task? This may seem like a daunting task, and admittedly, it’s not for the faint-hearted. 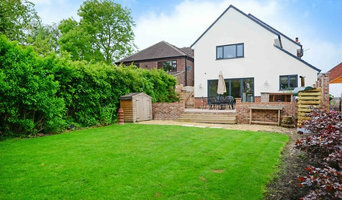 But with extensive research, trusted builders in Nottingham, Nottinghamshire, detailed budgeting and good judgement you might soon be sitting in the house of your dreams, at a snip of the cost. Your architect’s plans will serve as clear instructions to your builder and, if the former has done their job well, you should also avoid any nasty surprises with the local council. Finding the right Nottingham, Nottinghamshire builder need not be a long or difficult process. 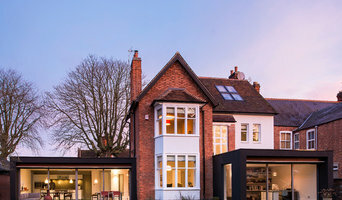 Personal recommendations aside, a good place to start is the Nottingham, Nottinghamshire Home Builders category of the Find a Pro section on Houzz, where you can see their previous work and ask questions. Compile a shortlist of at least three builders in Nottingham, Nottinghamshire that can handle the full scope of works, either by themselves or through sub-contracting. It is often a good idea to play devil’s advocate and ask what the builder will not be responsible for, such as structural engineer consultations. Be weary of unusually cheap quotes. Ask for references and stories about how the builder has met different challenges along the way. If you can, you could try to see builders’ previous projects in person and talk to previous clients, or if not, read reviews, recommendations and ratings, and look at detailed photos of projects. How long have you been operating as builders in Nottingham, Nottinghamshire? Find builders on Houzz. Narrow your search in the Professionals section of the website to builders in Nottingham, Nottinghamshire. You could also look through Nottingham, Nottinghamshire photos to find a project you like, then contact the Nottingham, Nottinghamshire builders that created it.